The Fleece and Fiber Sourcebook: More Than 200 Fibers, from Animal to Spun Yarn, Carol Ekarius & Deborah Robson, Storey Publishing, 2011, 448 p.
If you have the slightest interest in the animals behind the yarn, you will love this book. It’s huge, and reads like your favorite text book, inviting both browsing and serious study. At some point, I picture myself with a stack of post-its, tagging each breed that I want to try & for what project. The book is divided into three sections. The first, Fiber Fascination, includes overview of the author’s reasons for the book, fiber facts (including categorizing, etc), an overview of the reasons to conserve these various breeds, and so on. The next (and largest) section, Sheep: Oodles and Boodles of Wool, is devoted to the plethora of breeds, divided into groups based on fiber types, breed history and location, etc. P34-35 is a cheat sheet of the breeds with wool categorized as Soft, Relatively Versatile, Sturdy and To Spur Your Creativity. Each family or group of breeds gets its own chapter. A group overview, detailing the characteristics, history etc is first, followed by sections for each breed. The individual breed section delves more deeply into its history. Each breed gets a fact sheet with information on fleece weight, staple length, fiber diameters, lock characteristics, natural colors, dyeing characteristics, fiber prep and spinning tips, suitable uses, and ‘best known for’. Also interspersed are essays, commentary, and other snippets of information that don’t fall under the afore-mentioned structure. Each breed section includes wonderful photos of the sheep, of course. Equally gorgeous are the pics of each breed’s fiber (raw, washed, spun, and woven & knitted samples), photographed against a backdrop of hand-dyed wool layered over mattboards and weatherbeaten salvaged wood boards. The last section, Other Species: the Rest of the Menagerie, includes information on the camellids, goats, rabbits, yaks, bison, musk oxen, mink, New Zealand possum, and even a little bit on dogs and cats. It follows the same format in detailing the specific animals’ fibers as the sheep section. An extensive bibliography is included at the end, if your appetite has been whetted and you want to do more research. A three column page lists the names of donors and fiber sources. Visit The Fleece & Fiber Sourcebook on Facebook; read Deb’s blog here; and visit Carol’s site here. 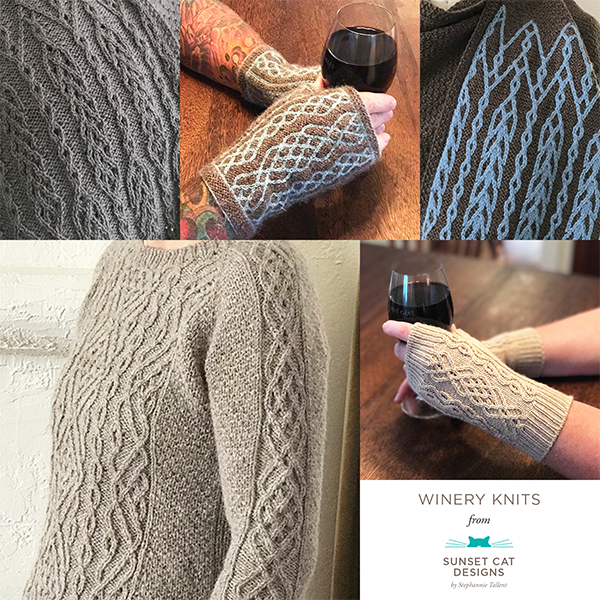 Tuesday, June 21st, visit the blog to read an interview with Deborah and Carol and enter to win a copy of the book (US shipping only) and gift sets from Unicorn Fibre! Next post: Interview with Deb Robson & Carol Ekarius, authors of the Fleece & Fiber Sourcebook – and giveaway!